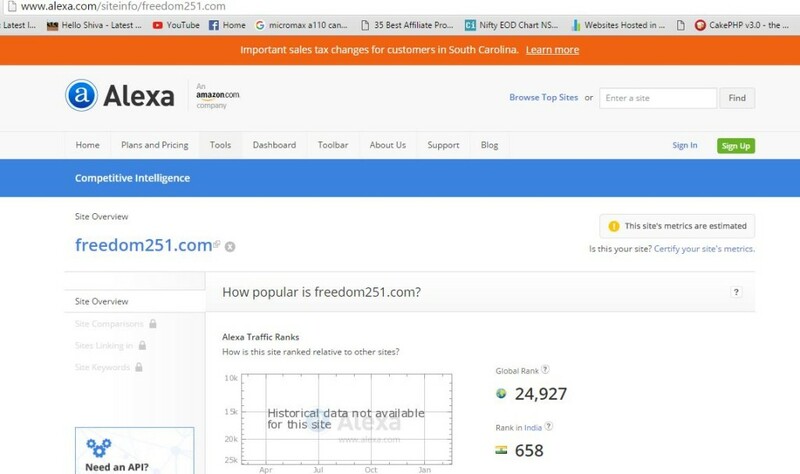 What is Freedom 251? Today we know it so well as if we knew about it for years. Do we know about its company (Ringing Bells), think again? We only know the name of the company and nothing about its business. How old is it? What are the products it produces? About its balance sheet? 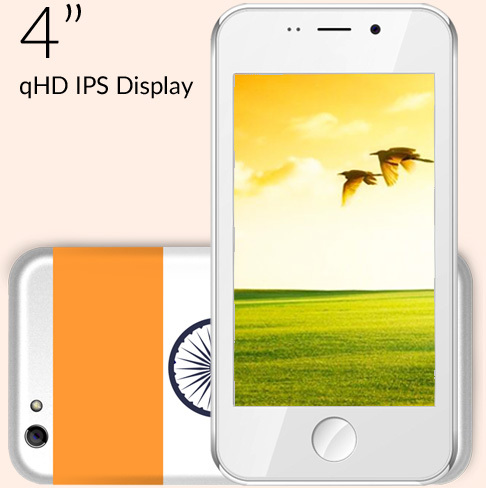 It is all about the fuss created by Freedom251, world’s cheapest smartphone. The domain name FREEDOM251 was created on 10 Feb 2016. Yes, just one week before the launch of Freedom251. If we look at the Alexa Traffic Ranks it has Global Rank of 24927 and rank in India is 658. It is mind boggling to imagine that all this could be achieved in a span of just one week. But let me assure you these numbers are true and Freedom251 has achieved all this in less than one week. The magnitude of the scale could be understood from the fact that inauguration ceremony would be attended by Ex- HRD Minister MM Joshi and Defence Minister Manohar Parikh who was expected to be the chief guest due to busy schedule, did not joine. Let me simplify things for you. A company named Ringing Bells has come up with a smartphone costing your pocket just Rs. 251 only. The company is providing the warranty for 1 year to this product. Registration is open but due to massive traffic to the site their site is down for two days and that’s due to the overwhelming response the world’s cheapest smartphone created among the common people. Coming to the word 251. Does this phone cost Rs 251? Let me rephrase the question to be clearer. What are the cost of this phone to consumers and that to the company (Ringing Bells)? And the answer is- it costs Rs. 251 to the consumers and about Rs. 2500 to the company. Yes, you read it correctly. The company is selling this product to the whooping loss of 90% or Rs 2249 for each phone. They are planning to sell 50 lakhs such phones which amounts to the loss of Rs. 1124.5 crore. What is their strategy to cope up with such high losses? According to the official explanation was given out, “the plan to recover money include a number of measures like economies of scale, innovative marketing, reduction in duties and creating e-commerce marketplace.” Some people are skeptical about the subsidy provided by the Government of India which is speculated by the presence of MM Joshi. The company has declined such rumors. A lot has been said about the company and its tactic to sell the product. Now some words of wisdom about the product in the lime light. Some sample smartphones are given to media person to test. As alleged by Hindustan Times the sample they got, was of Adcom (brand) hidden deep under the whitener layer. The icons of the apps preloaded are just the copy of Apple's iSO. This intellectual property right violation could stall the project. The phone is not certified by Bureau of Indian Standard (BIS) which is mandatory for any product to be sold in market place. As against the promise, there are no the preloaded apps. The answer to some of the above-raised point is given by the company. “Adcom phones are temporarily given to just testing the phone as the phone would be same under Freedom251 brand” according to company officials. To intellectual property right violation allegation their rebuttal is short and simple – Apple does not have copyright issue about this which is hard to digest. Even though likes of Flipkart, Snapdeal incur huge loss but those companies are in another league. Promoted by venture capitals likes of Flipkart could sale through the storm but less known Ringing Bells could is hard to imagine. Is it a well-placed market strategy or one on the line of another chit fund scam? Let’s see what future has in store for us, only time will tell. Till then register for Freedom251 and enjoy the suspense. !! !